Ditch the packaged candy bars and lollipops and make a treat for you friends/kids/co-workers that they will remember! 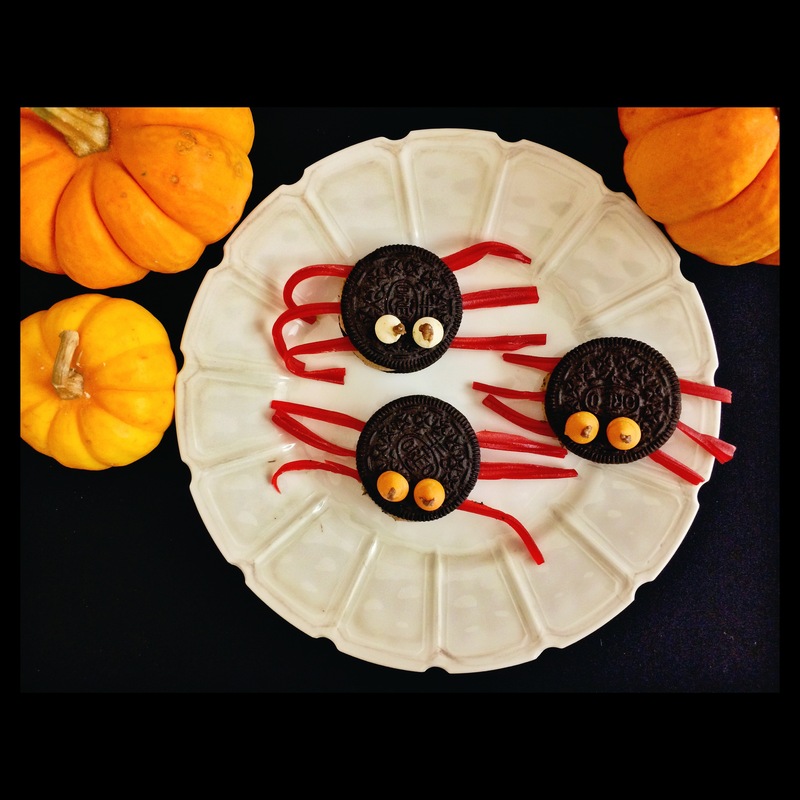 Last week I made some fall acorn treats for my teammates (see previous post) and this week I continued my creative streak with these Oreo Spiders just in time for Halloween! These delicious and fun treats are bound to put a smile on anyone’s face and they are so easy to make. You can use any kind of Oreos (regular, chocolate cream-filled, pumpkin spice) and add some creepy legs by using licorice or pretzel sticks. It is not too late to enjoy the rest of Halloweekend by whipping up these cute little guys! Separate the top of the Oreo cookie from the other side with cream on it. Push three licorice pieces or pretzel sticks into the creme. Top with the plain Oreo cookie. Glue on two mini morsels for eyes with either a dab of peanut butter, honey or frosting. Bon appétit!